Richard Harding QC has been described as “without a doubt the leading English barrister practising in the field of international arbitration of construction disputes in the Middle East and Gulf regions.” He studied Arabic and Persian at Oxford University and in Egypt, and was then called to the English Bar. He acts as counsel for governments, private employers, contractors and professionals, and is regularly appointed as an arbitrator in international commercial matters. Richard Harding QC has a working knowledge of Arabic, German, Spanish, French, and some Persian. He regularly acts in cases, as either counsel or arbitrator, under the laws of the Middle East, and has particular experience of the laws of the UAE, Egypt, Qatar, Kuwait and Jordan. As counsel, he is instructed by law firms (particularly from UK, the Middle East and USA) and also directly by in-house counsel and professionals. He has a particular interest in disputes relating to Iran. He is the current and founder Chairman of the Society of Construction Law in the Arabian/ Persian Gulf, and is the Middle East co-ordinator for the ICC Task Force on the enforcement of foreign arbitration awards. He is also an acclaimed conference chairman and speaker. Counsel for the employer in a USD 1 billion arbitration relating to the construction of airport facilities in the Gulf. (Middle Eastern law). Counsel for the steelwork contractor in a $200m dispute relating to the construction of a new airport terminal in the Gulf. (Middle Eastern law). Representing a Chinese contractor in a $250m termination dispute relating to a high profile airport project in the Middle East. (ICC arbitration, Middle Eastern law). Advising a Middle Eastern government agency in relation to multi-billion dollar claims arising out of the construction of the world’s largest fully automated urban light rail system. (Middle Eastern law). Representing the main contractor in ICC proceedings concerning the catering facilities at Hamad International Airport. (Arbitration in Doha, Qatar law). Counsel for an Australian contractor in a DIAC arbitration relating to the construction of Dubai Airport. (Arbitration in Dubai, UAE law). Representing a multinational company in a DAB hearing concerning the termination of a contract for a port expansion in Jordan. Representing a joint venture contractor in a $50m arbitration arising out of the construction of a new highway in Qatar. (ICC arbitration in Qatar, Qatari law). Representing a Middle Eastern government defending a $200m arbitration claim arising out of the construction of a road interchange. (Arbitration in the Middle East, Middle Eastern law). Advising an international consultant regarding the threatened termination of its appointment on a high profile airport development in the Middle East. (Middle Eastern law). Advising a joint venture contractor on a $50 million dispute arising out of the construction the new airport in Doha, Qatar. (Qatari law). Acting for a US contractor in a $50 million dispute arising out of the installation of information technology systems in Dubai Airport. (DIAC arbitration in Dubai, UAE law). Advocate for the employer in a $25 million domestic arbitration in the UAE in relation to a complex city-centre road interchange project. (Arbitration in Dubai, UAE law). Advising a Far Eastern contractor in relation to disputes totalling $100m concerning a high profile monorail project in the UAE. (UAE law). Advising design consultants on the Union Rail project in UAE. (UAE law). Advising contractors in relation to the construction of the new Doha Metro. (Qatar law). Acting for a joint venture contractor in a $2 billion arbitration arising out of the termination of a hospital project in the Gulf. (ICC arbitration, Middle Eastern law). Representing a Saudi/UK contractor in a $150 million termination dispute arising out the construction of the world’s largest energy research and development centre, in Riyadh, KSA. (ICC Arbitration and relating TCC proceedings, English law). Counsel for a Saudi employer in a $100 million dispute with a Korean contractor arising out of the construction of a petrochemical plant in Saudi Arabia. (LCIA arbitration, English law). Counsel for a facilities management company in a complex $30m dispute against Nakheel, before the Dubai World Tribunal. Representing a Dubai contractor in relation to an AED 1 billion claim arising out of the suspension and termination of a mixed use development in Dubailand. (Arbitration in Dubai, UAE law). Representing a firm of US architects in court proceedings relating to projects in Qatar and Saudi Arabia. (TCC, London). Advising UK consultants in relation to disputes arising out of projects in Qatar and Saudi Arabia, under Qatari and Saudi laws. Advocate for a joint venture contractor in a $35m arbitration concerning electrical works to a five star hotel development in the UAE. (Ad hoc arbitration in Dubai, UAE law). Representing a firm of UK architects in a $40 million dispute commenced in the DIFC Court concerning a major tower development in Dubai. (DIFC Court, DIFC law). Representing a Jordanian contractor in an arbitration against a US company arising out of the drilling of wells in Iraq. (LCIA arbitration in London, Texas law). Advising a Saudi company in relation to a $40 million LCIA arbitration arising out of contracts for feeding troops in Iraq. (Arbitration in London, Texas law). Acting for a UAE developer resisting an application for an injunction in arbitration proceedings concerning flagship commercial premises in Dubai. (DIAC Arbitration in Dubai, UAE law). Advocate for a UAE-South African joint venture in a substantial ICC arbitration against a joint venture partner, arising out of the construction of a prestigious hotel and office complex in Alexandria, Egypt. (ICC Arbitration in Cairo, Egyptian law). Representing a UK-UAE joint venture contractor in relation to two arbitrations, over 7 years, concerning a $25 million claim arising out of the construction of a precast-clad residential development in Sharjah. (Arbitration in Dubai, UAE law). Advocate for a UK contractor in a $15 million dispute relating to a project in Saudi Arabia constructing X-ray equipment for containers at two sea ports. (ICC arbitration in London, English law). Represented the employer in relation to a $10 million claim in connection with the construction of a steel processing plant in Egypt. (ICC arbitration in London, English law). Advocate for a US employer in LCIA arbitration proceedings against the Italian supplier of an olive oil processing plant in California (Arbitration in London, English law). Representing a supplier of docking fenders defending substantial claims in a multi-party TCC action relating to a new ferry terminal on Merseyside. Acting for the developer of a North Sea oil field in relation to substantial claims arising out of defective off shore equipment. (English law). Advising a Korean contractor in relation to delay and variation claims totalling in excess of $300 million arising out of an on- and off-shore oil and gas development in Kuwait. (Kuwaiti law). Obtained an interlocutory injunction in the TCC on behalf of the developer of a North Sea oil field against a contractor threatening to remove his pipe laying vessel from site, where the developer’s losses were anticipated as being up to $90 million. Advising a UK contractor in relation to the preparation of a $200 million delay, disruption and insurance claims arising out of an off-shore gas project in Egypt. (Arbitration in Cairo, Egyptian law). Advocate for an Arab contractor in a $45 million dispute relating to a project in Kuwait constructing oil pipelines and tanks. (LCIA arbitration in London, Kuwaiti law). Advocate for a Korean contractor in a multi-million dollar dispute relating to instrumentation works for a new oil installation in Kuwait. (Arbitration in London, Swiss law). Represented a Dutch contractor in a £20 million claim in the TCC arising out of the construction of the topsides for an FPSO to be used in Nigeria. Advising a Scottish pipe-laying contractor in relation to a substantial dispute with the developer of an off-shore gas field in the Black Sea. (English law). Represented a civil engineering firm in adjudication proceedings brought by a UK contractor alleging professional negligence in relation to the remediation of a substantial site in the North of England. Represented an American designer and contractor defending a professional negligence action in the TCC in relation to a VOC abatement plant installed at a printing facility in the UK. Sole arbitrator for a USD 200 million ICC arbitration arising out of the construction of 2 gas pipelines in Libya. (Seat in Paris, Libyan law). Chairman of the tribunal in an ad hoc reference concerning a USD100 million dispute arising out of the construction of a sewage plant in the UAE. (Seat in UAE, UAE law). Party-appointed arbitrator in an ICC arbitration relating to an oil pipeline in Yemen. (Seat in Vienna, Austrian law). Co-arbitrator in a USD50m ICC case concerning the expansion of an oil refinery in UAE. (Seat in UAE, UAE law). Sole arbitrator in an ICC arbitration arising out of the construction of facilities at a refugee camp in Syria. (Seat in Geneva, Syrian law). Co-arbitrator in a USD 150 million ICC arbitration arising out of the construction of 3 gas-fired power stations in Saudi Arabia. (Seat in London, Saudi law). Co-arbitrator in a USD 80 million ICC arbitration relating to a fire at an oil refinery in the Gulf. (Middle Eastern seat and law). Chairman of an ICC tribunal for a dispute relating to the construction of an LNG terminal in Morocco. (Seat in London, English law). Chairman of a DIAC tribunal to decide a dispute arising out of the construction of the Al-Sufouh tram project in Dubai. (Seat in Dubai, UAE law). Sole arbitrator in ICC proceedings relating to the tendering of part of the Lusail Project in Doha. (Seat in Qatar, Qatar law). Chairman of a DIAC tribunal to determine claims arising out of the construction of a hotel at Abu Dhabi airport. (Seat in Dubai, UAE law). Co-arbitrator in a USD60m ICC arbitration arising out of MEP work in the lounges in a new airport in the Gulf. (Middle Eastern seat and law). Chairman of an ICC tribunal for a case relating to alleged defects in a nylon plant in Saudi Arabia. (Seat in Geneva, English law). Co-arbitrator in a USD60m ICC case arising out of part of the construction of the Lusail Expressway in Doha. (Seat in Qatar, Qatar law). Party appointed arbitrator in a USD40m ICC arbitration relating to the construction and installation of an oil rig in India. (Seat in Mumbai, Indian law). Chairman of a CRCICA arbitration arising out of a claim for a contribution to the costs of petroleum exploration in the Western Desert of Egypt. (Seat in Cairo, Egyptian law). Chairman of an ICC tribunal in a reference concerning the installation of the roofing system for an airport passenger terminal in the Gulf. (Seat in the Gulf, Middle Eastern law). Party-appointed arbitrator in an ICC arbitration arising out of a contract for dredging work in Qatar. (Seat in Qatar, Qatari law). Chairman of an ICC tribunal in a joint venture dispute arising out of the construction of a water storage facility in Abu Dhabi. (Seat in UAE, UAE law). Party appointed arbitrator in the first ICC arbitration under the 2012 Saudi arbitration law, relating to the construction of facilities for a high-profile research centre in Riyadh. (Seat in Saudi Arabia, Saudi law). Party appointed arbitrator in an ICC arbitration arising out of the construction of facilities for a new airport in the Gulf. (Seat in the Gulf, Middle Eastern law). Chairman of an UNCITRAL tribunal for a dispute regarding a process plant in Eritrea. (Seat in Dubai, Eritrean law). Chairman of a tribunal, appointed by the ICC, in a reference concerning work carried out at US military bases in Kuwait. (Seat in Kuwait, Kuwaiti law). Party appointed arbitrator in DIAC proceedings relating to alleged defects in a conference centre in Abu Dhabi. (Seat in Dubai, UAE law). Party appointed arbitrator in ICC proceedings relating to the construction of a cement plant in Qatar. (Seat in Doha, Qatari law). Party appointed arbitrator in an ICC arbitration concerning the construction of high rise office premises in Dubai. (Seat in Dubai, UAE law). Party appointed arbitrator in ICC proceedings relating to the cancelled purchase of turbines for a power station in India. (Seat in London, English law). Party appointed arbitrator in an ICC arbitration arising out of the termination of a mixed use development in Azerbaijan. (Seat in London). Party appointed arbitrator in ICC proceedings between Qatari and European parties, concerning a road project in Doha. (Seat in Paris, Qatari law). Sole arbitrator appointed by the ICC in relation to a dispute between the parties to a Bahrain construction joint venture. (Seat in London, Bahraini law). Party appointed arbitrator in a substantial LCIA arbitration between UAE and Australian parties, regarding modifications to a petrochemical plant in Dubai. (Seat in London, English law). Chairman of a three man DAB, appointed to determine a $400 million dispute as to the termination of a light rail BOT contract between a Middle Eastern government and a contractor from the Sub-Continent. (Middle Eastern law). Party appointed arbitrator in proceedings arising out of the construction of a new airport at Arbil in Iraqi Kurdistan. (Seat in London, English law). Appointed by the ICC as sole arbitrator for a series of references relating to the termination of construction projects in Gaza. Party appointed arbitrator in a US$20m arbitration between a developer and contractor regarding the delayed construction of 2 residential towers in Dubai. (Seat in Dubai, UAE law). Party appointed arbitrator in an ad hoc arbitration between the Turkish supplier of prefabricated buildings for a project in Qatar, and the American/UAE purchaser. (Seat in The Hague, hearings in Dubai, English law). Acted as an arbitrator in a CRCICA arbitration between an Egyptian contractor and an Egyptian/Lebanese joint venture concerning a residential and commercial development in Cairo. (Arbitration in Cairo, Egyptian law). Acted as the sole arbitrator in an ad hoc reference relating to a dispute between parties from Abu Dhabi and Germany concerning water supply works in the UAE. (Arbitration in London, English law). Chairman of an ICC tribunal to determine a USD 30 million dispute arising out of the sale of chemical products from Qatar. (Seat in London, English law). Co-arbitrator in a USD 50 million ICC arbitration arising out of the termination of a contract to operate a hospital in the Gulf. (Seat in London, English law). Chairman of an ACIC arbitration concerning the sale of shipments of methanol from Iran to India. (Seat in Tehran. Iranian law). Co-arbitrator in an ICC case concerning sanctions affecting the importation of equipment for the expansion of an oil refinery in Iran. (Seat in Paris, English law). Chairman of an LCIA tribunal to decide a dispute arising out of a loan for the purchase of a yacht in UAE. (Seat in London, English law). Sole arbitrator, appointed by the ICC, in a $100 million dispute between an Arab sports body and a sports marketing agency. (Seat in UAE, English law). Co-arbitrator in ICC proceedings arising from shipments of ammonia from Iran to India. (Seat in London, English law). Chairman of an ICC tribunal in a dispute relating to the termination of a contract to manage a hotel in the UAE. (Seat in UAE, UAE law). Sole arbitrator in an LCIA arbitration relating to the financing of a thermal energy project. (Seat in London, English law). Sole arbitrator in an LCIA arbitration regarding intellectual property rights in oil products sold in Tunisia. (Seat in London, English law). Party appointed arbitrator in ICC proceedings between Iranian and Swiss companies concerning the shipping of butane. (Seat in Geneva, Iranian law). Sole arbitrator in an ICC arbitration between Egyptian and Indian companies, concerning the sale and shipping of rock phosphate. (Seat in Cairo, Egyptian law). Sole arbitrator in a US$10m multi-party ICC arbitration between Finish and Indian companies, concerning the purchase of shares in a joint venture engineering company. (Seat in Paris, Indian law). "The leading QC across the Middle East" and a "very diligent and extremely effective barrister". 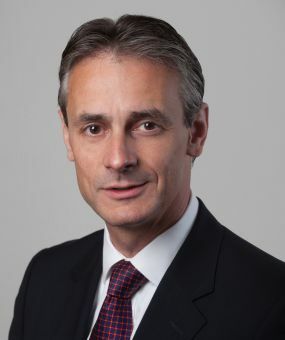 Richard Harding QC is frequently recommended by market sources as “an extremely experienced” barrister who “adeptly handles complex and very high-value cases” relating to construction disputes. "Intellectually outstanding, one of the leading silks for large and complex construction cases with a Middle East flavour." "Very experienced and easy to deal with." "A highly competent international construction advocate and arbitrator." "He is a luminary. He is just so switched on and acutely aware of every intricate detail of every case." Contributor, Keating on Construction Contracts – 7th, 8th, 9th and 10th editions. Various papers on construction law and Middle Eastern arbitration, delivered to and published by the Society of Construction Law (Gulf). Devised and co-ordinated a two day seminar for the commercial judges of Abu Dhabi, and gave lectures to them on UAE construction law. Organized a one day course on construction law in Tehran. However Richard Harding QC conducts legal business only in English. Richard Harding takes a close interest in all aspects of Middle Eastern culture, economics and politics, and follows cricket, rugby and motor sports.